Alaska Fuel Systems is located in Anchorage, Alaska and was started in 1991. Alaska Fuel Systems was created to provide construction, maintenance, and testing services for aboveground and belowground fuel systems. 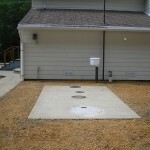 We specialize in construction, maintenance, reconfiguration, inspection, and testing on retail gas stations, bulk fuel farms, and emergency generator/boiler fuel systems. 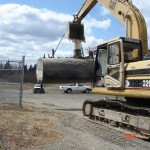 We also provide fuel tank removal and demolition as well as fuel canopy construction services. We can assist you in any phase of your fuel system project from planning, engineering, permitting, equipment specification, and construction. Once your project is complete we are there 24/7 for facility support, maintenance, training, compliance testing. 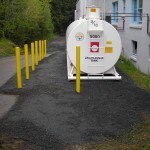 Alaska Fuel Systems is a full-service fuel system, car wash, and convenience store contractor specializing in above and underground fuel systems for retail, commercial, and government clients. 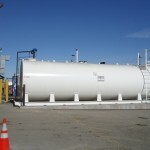 Construction services that we provide include complete fuel system UST/AST installs, re-configuration of existing fuel systems, demolition, tank removals. 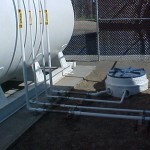 We can service and maintain all aspects of your fueling systems from the tanks, lines, dispensers, tank monitor, and POS systems. We are available 24rs a day 7 days a week for all your emergency service and repair needs. AFS provides regulatory equipment testing and certification. Leak detectors, cathodic protection, ADEC 3rd party UST inspections, Stage 1 vapor recovery. Whatever your testing need we can provide it. 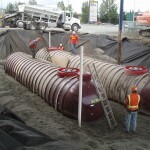 Our testers are ADEC underground tank workers with specific training on each manufactures equipment.